At Ascent Audiology and Hearing, we provide a full range of hearing healthcare services. We regularly consult with our clients on how to choose the right hearing aid. With many options to choose from, here are points to consider. The first thing to examine is your lifestyle. How do you spend much of your time? Whether you find yourself in a quiet environment or a noisy one, there are hearing aids suited to your lifestyle. Your listening needs also factor into the selection process. If you spend a great deal of time on the phone, for example, or in face-to-face conversations with people, certain types of hearing aids are better suited to your needs. Are you in few listening environments or many different situations with challenging conditions? 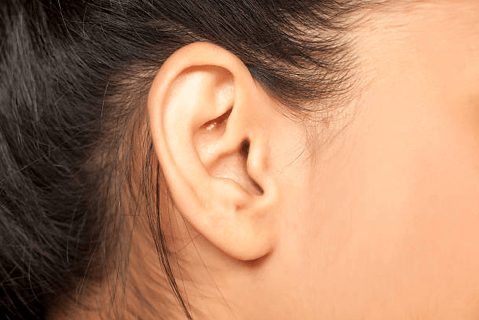 Invisible in Canal (IIC): They are practically invisible because they fit far into the ear canal. Completely in Canal (CIC): A slightly larger version of the IIC, the CIC can offer additional features. In the Canal (ITC): This is a discreet option with only a small portion being visible. In the Ear (ITE): Sitting inside the ear, the ITE is easy to insert and remove. Receiver in Canal (RIC): A device with two parts—microphone plus amplifier behind the ear and speaker in the canal. Behind the Ear (BTE): These devices are designed for individuals with severe hearing loss. We offer many popular hearing aid brands including: Signia, Phonak, Starkey, Widex, Resound, Oticon, and Unitron. Before your fitting, your hearing professional will perform an audiological evaluation to determine the best solution for you based on your hearing, lifestyle, and budget. Deciding which device is right for you is a big decision, but the good news is that we are here to guide you. In addition to assessing your hearing, we help you select the most appropriate hearing aids based on your unique circumstances. The hearing aids are programmed and verified with your individual hearing loss for the best sound clarity. You’ll be happy to know that our thorough hearing test is both quick and painless. Your ear canals will be examined with an otoscope. In a soundproof booth, each ear will be tested to determine levels of hearing. After reviewing the results, your audiologist will then discuss what was found and recommend whether or not to get hearing aids. If hearing amplification devices are the best solution for you, you will be scheduled for a fitting, which typically takes about an hour. During this time, the audiologist will fully explain the proper care, use, and maintenance of your new devices. You will practice inserting and removing your hearing aids until you feel comfortable doing this on your own. If you chose rechargeable or Bluetooth hearing aids, these features will be completely explained and we will connect the hearing aids to your phone.